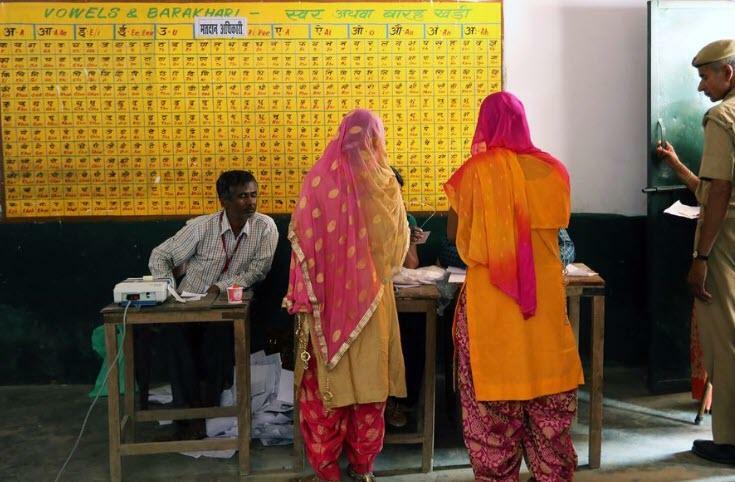 As polling gets under way in India – the largest exercise of democratic choice in the world – voters (where a quarter of the population earn less than $2 a day on average) are being lured by politicians offering illegal handouts. 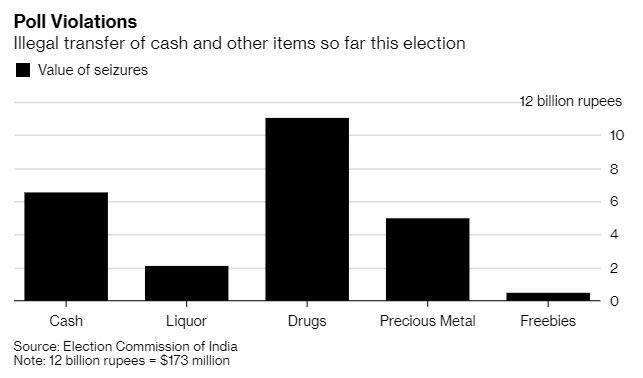 Bloomberg reports that India’s enforcement agencies have so far seized cash, liquor, drugs, gold and other contraband worth 25 billion rupees ($361 million), already double the value of goods seized in the entire 2014 elections. “It is becoming a menace and assuming alarming proportions — it is a national malady,’’ said V.S. Sampath, former chief election commissioner. Acceptance of money to vote or not to vote for a candidate is punishablewith prison terms, fines or both. In 2014 the Election Commission seized 12 billion rupees worth of cash and contraband. “There should be moral and ethical awareness among the voters,’’ said Sampath. 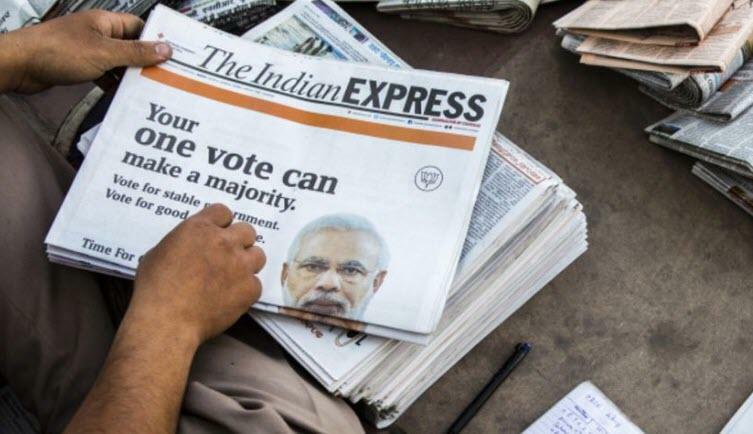 This growth in vote-buying also means a significant rise in election spending, making it the world’s costliest election.